Dennys Driveshaft 1350 Series Nitrous Ready Racing Driveshafts for your high performance steet car, race car or street outlaw application. This is our STRONGEST and BEST DRIVESHAFT ... custom built specifically for the most SERIOUS STREET and RACING applications. Denny's Nitrous Ready Driveshafts are the very best driveshaft choice when strength, reliability and smooth operation are your main concerns. If you ever twist the tube or break a weld.... Replacement is FREE! Strength and Reliability you can count on...Start to Finish! TO ORDER: Please measure using ONE of the following Measuring Diagrams. CLICK HERE to View and Print DIAGRAM "B"
CLICK HERE to View and Print DIAGRAM "C"
You will receive an automatic email asking for your dimensions after you place your order online. DENNY'S NITROUS READY is our STRONGEST and BEST DRIVESHAFT assembly. We call this one NITROUS READY because it was specifically designed to handle the massive power generated by using a single or multiple stage nitrous system, single or twin turbo or a supercharger. This is the ORIGINAL Nitrous Ready Driveshaft... not one of those so called copies that you will find out there with a similar name. Beware of imitations!!! Racers worldwide have proven the legendary benefits of this shaft in all out racing competition. It’s at home on the street and at the race track. You can choose from 3 inch, 3.5 inch tubing and they come complete with 1350 SERIES transmission slip yoke and 1350 SERIES solid body u-joints or we can build it with your own 1350 series slip yoke if you already have one but certain restrictions will apply. Please ask when ordering your new driveshaft. We build this shaft to do what it takes to keep it all together, especially if you are using Nitrous, a turbo or a supercharger along with a manual transmission or have a heavyweight vehicle. This driveshaft will deliver the power to the rear end smoothly and reliably whether your racing is street outlaw or at the drag strip. IF YOU EVER TWIST THIS TUBING OR BREAK OUR WELDS...WE WILL REPLACE THE ENTIRE DRIVESHAFT FOR FREE. Power adders are not the only reason for owning the best. For those of you who require the ULTIMATE STRENGTH and RELIABILITY from your race car driveline ...THIS IS IT. With this shaft you will be able to run with confidence knowing that it will deliver all that horsepower and torque to the rear end smoothly and efficiently without the worry of breakage or the loss of valuable time due to vibration. Vibrations slow you down and destroy more parts than you can imagine. We all know that anything that vibrates is really annoying...especially on the street. Built with the virtually indestructable 1350 series components for super long life and trouble free operation. 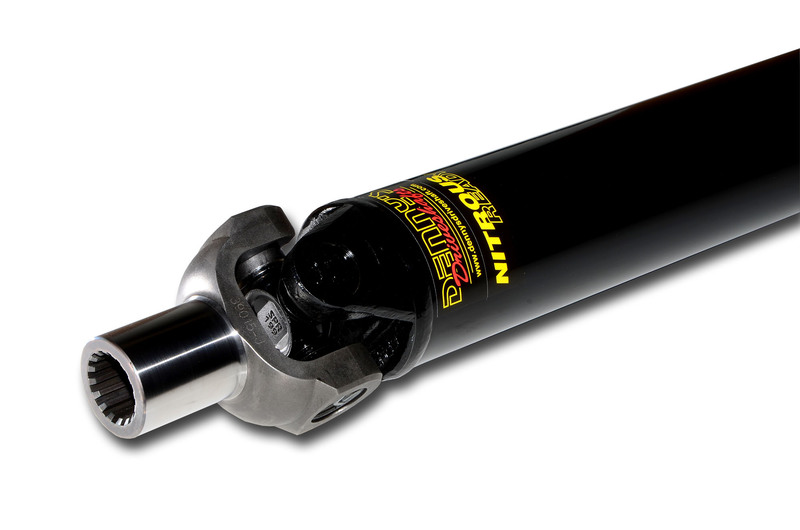 Also if you are planning on adding more horsepower or traction in the future this shaft is the best choice. You won't need to buy another shaft later. Each shaft is built with meticulous attention to detail. Each shaft is HIGH SPEED - HIGH RPM BALANCED then TESTED on special equipment to be sure that it will run the rpm that you require. If it does not pass this test it doesn't get shipped out. No guess work here...we know what it will do for you because of this final test. 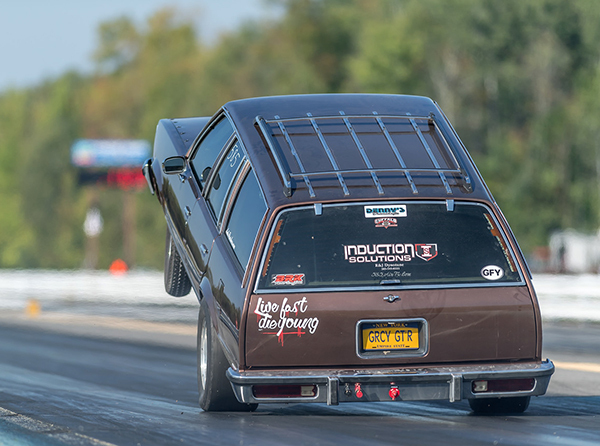 That is why a DENNY'S DRIVESHAFT will perform BEST in your street outlaw or race car application. All Denny's NITROUS READY racing driveshafts come with our FREE LIFETIME LABOR for most any maintenance or alterations needs. Please see the LIFETIME LABOR section for details.